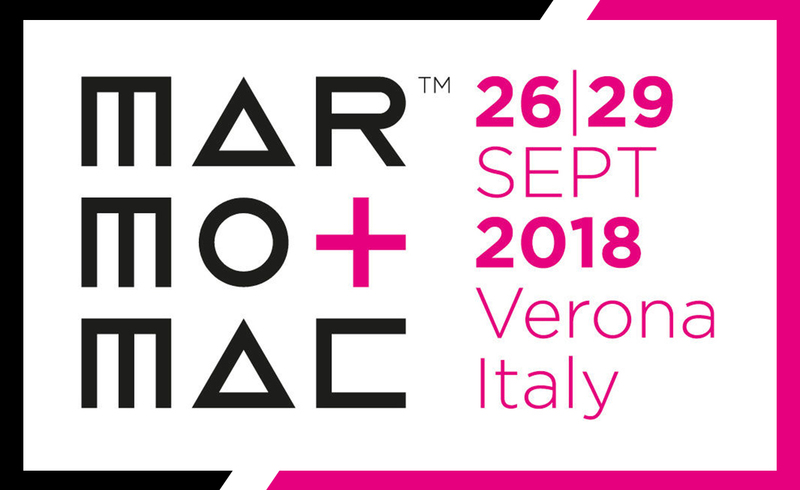 In Verona, Italy, we have just witnessed a successful Marmomac 2018 event. 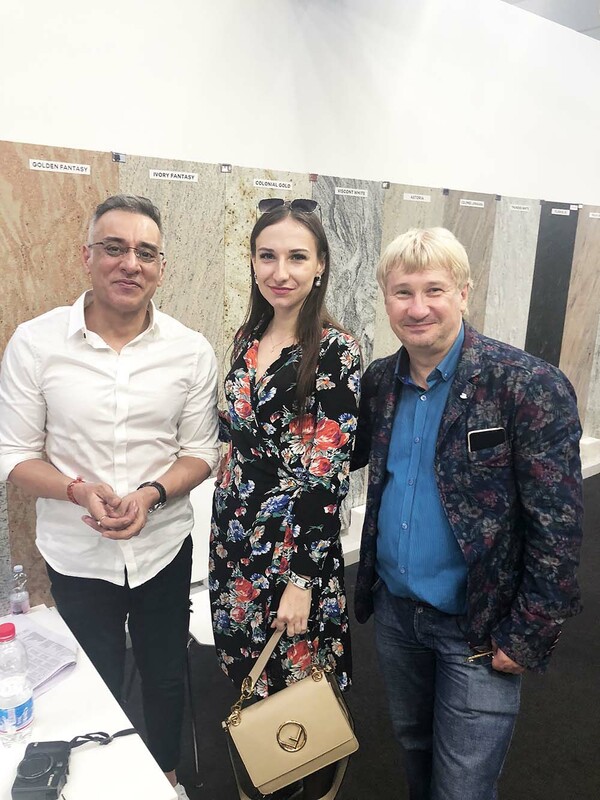 The mega event of the global natural stone industry provided us with an opportunity to meet new clients, understand global trends, and display our natural stone products and services to the whole world. The 53rd edition of MARMOMAC 2018 brought us many business prospects. The natural stone company genuinely thanks all visitors for stopping by its booth and for showing a genuine interest in its exhibits. 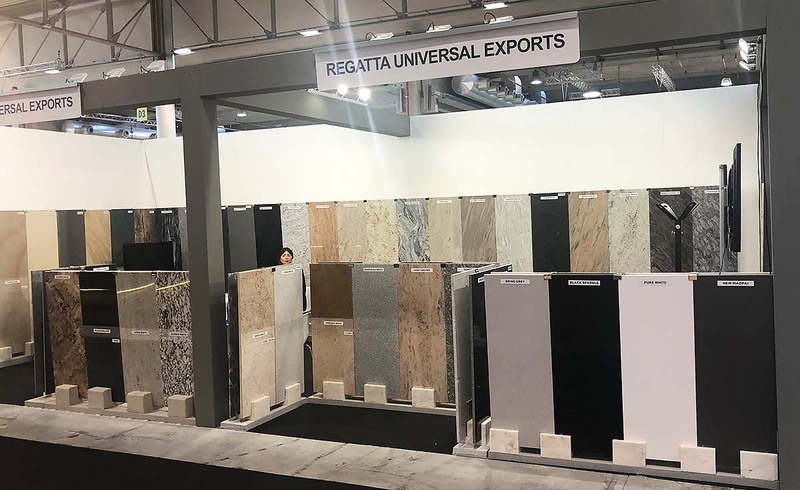 The exhibition offered us the opportunity to showcase our enriched portfolio of Indian natural stone products, including marble, granite, limestone, slate, sandstone, and quartzite. At the successful event, Regatta team entertained and attended all visitors at the stand number C2, Hall No. 10. Our team welcomed all visitors. At the stand number C2, Hall No. 10, Verona Exhibition Centre, Verona, Italy, Team Regatta spent 4 days and 35 hours. 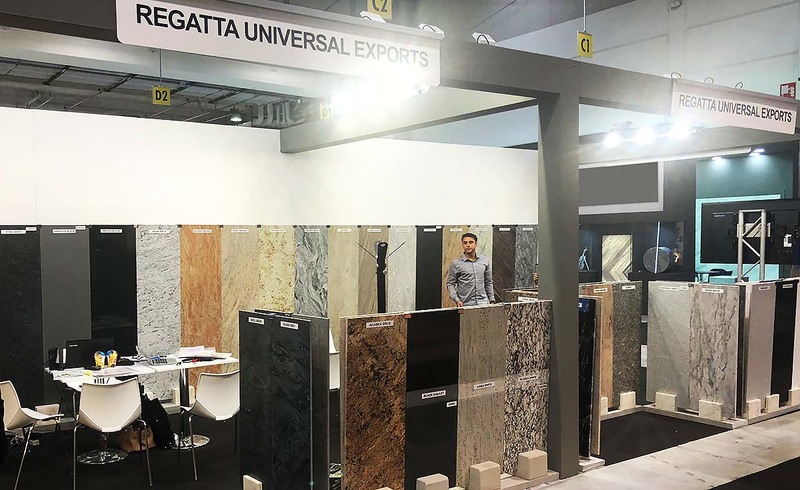 With a display of slate, marble, limestone, sandstone, granite, and quartzite products, our booth attracted thousands of potential clients. A large number of clients spent their quality time there. 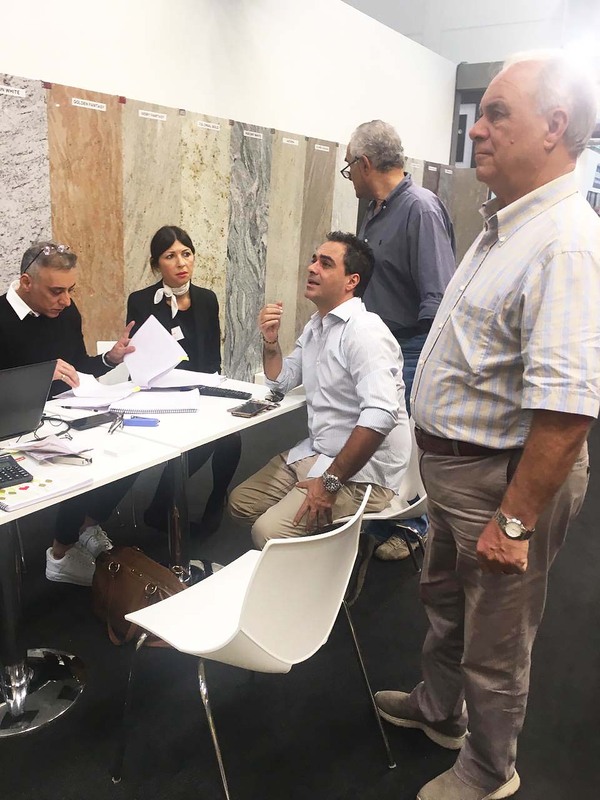 From 26th to 29th September, our booth at the Verona Exhibition Centre was a central attraction. Clients came, they saw, and they visited our booth. They had lots of questions on natural stone products and Regatta team successfully delivered all possible solutions. We enjoyed many stimulating conversations and a unique experience. All images shown within the blog depicts the success story the natural stone company spontaneously. If you have any inquiries or you need more information about our services and products, please feel free to contact us at info@regattaexports.com. Our team will get in touch with you in the least possible time.